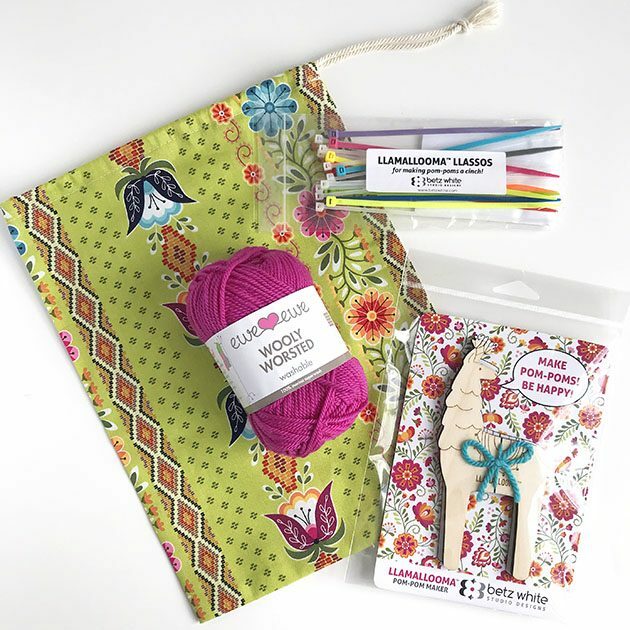 If you’re interested in a full kit, I also have just a few Llamallooma Kits available in 2 colors, normally $35 (includes Llamallooma Pompom Maker, Merino wool yarn, Llama Llassos and cute drawstring bag made with my Justaposey Fabric) now just $32 until February 15th! While supplies last. ;) No coupon code needed. I love sweet little valentine gifts like this, so easy to give and always appreciated. 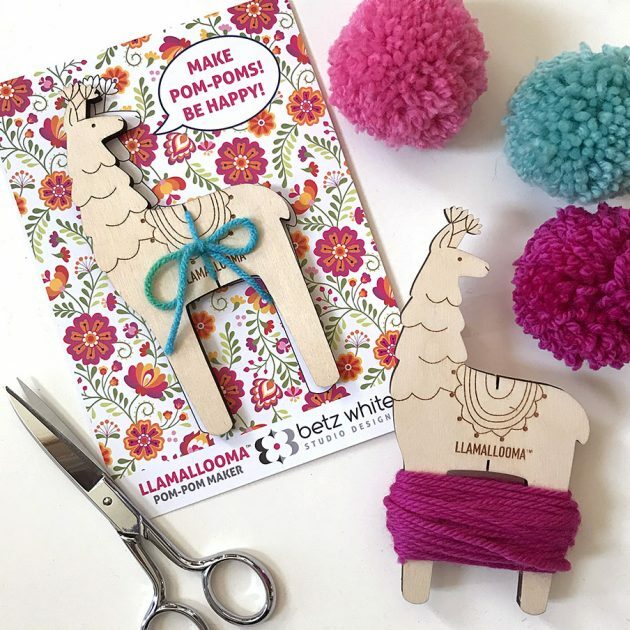 Need some pompom crafting ideas? Check out my Pompompaloosa Pinterest Board!